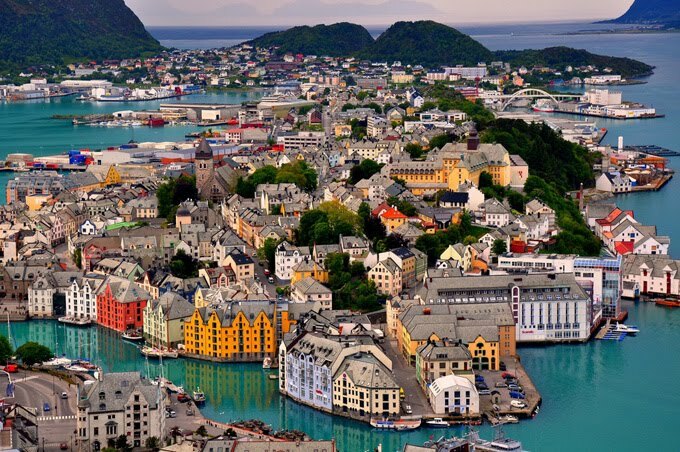 Ålesund is a town and municipality in Møre og Romsdal county, Norway. 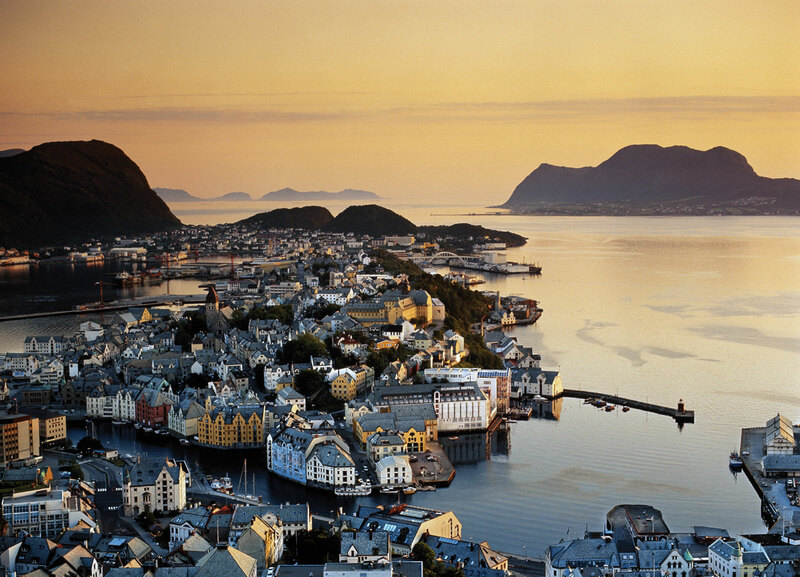 It is part of the traditional district of Sunnmøre, and the center of the Ålesund Region. It is a sea port, and is noted for its unique concentration of Art Nouveau architecture. 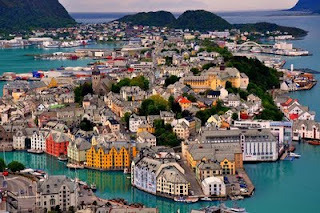 Ålesund town is the administrative centre of the municipality as well as the principal shipping town of the Sunnmøre district. 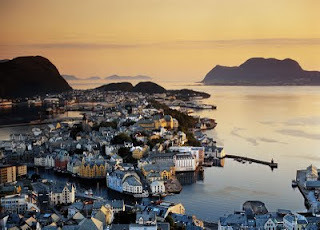 Ålesund municipality has a population of 42,982 as of 2010.